Getting Started on Your Advance Health Care Directive? - Joseph Ferrucci, Attorney at Law P.C. Getting Started on Your Advance Health Care Directive? In short, an advance health care directive is a legal document specifying the health care actions that should be taken if a person is not able to make their own health care decisions (i.e. a period of incapacity). The document also identifies a health care agent (i.e. who should be in charge of making sure those wishes are carried out). What is the role of a health care agent and who should I choose? A health care agent, also known as a health care proxy, is the person you choose to carry out your wishes during your incapacity. Your wishes are expressed in your advance health care directive so that agent knows what you would want. You ideally want to pick someone you trust and that knows you well to serve as your health care agent. What if I change my mind about the wishes I stated in my advance health care directive? Advance health care directives are freely revocable and amendable. However, changes cannot be made if you are declared incapacitated. When should I create an advance health care directive? Any person over the age of 18 should consider creating an advance health care directive. Prior to the age of 18, health care decisions are handled by parents or legal guardians. What types of things are included in an advance health care directive? Advance health care directives generally aim to state an individual’s health care preferences by specifically listing them out and/or granting the authority to a named health care agent. Some of the things that may be included are wishes regarding pain relief, who can visit the individual in the hospital, and end of life decisions (i.e. termination of life support). Other things that may be included are preferences regarding disposition of remains and preferences for funeral or memorial services. What if I move? Will my advance health care directive be honored? Generally, your advance health care directive should be honored in other states under the Full Faith and Credit Clause, so long as it was valid in the state of origin. If you move out of the country, your advance health care directive probably will not be recognized. Therefore, it’s a good idea to execute an advance health care directive (or equivalent document) when you move to a different country. 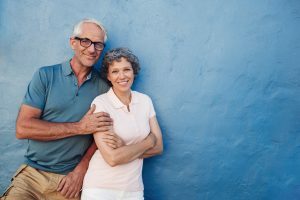 Generally, you should keep your advance health care directive in a safe place with the rest of your estate planning documents and other important documents (i.e. a safe deposit box, etc.). It’s also a good idea to provide a copy of your advance health care directive to your primary care physician so that they have access to it in case of an emergency. What if I don’t have an advance health care directive? When you do not have an advance health care directive, your loved ones (generally your next of kin) may be able to make decisions for you. However, the absence of an advance health care directive could cause disagreements if there are multiple individuals who may be authorized to act and they do not know your wishes for certain and cannot agree on the course of treatment. In such a case, a court order may have to be obtained to formally identify who can act. An advance health care directive can avoid such disputes and eliminate the need for court intervention. What about this new “right to die” law. How does that relate to advance health care directives? Physician-assisted “right to die” cannot be directed in the advance health care directive. The End of Life Option Act is currently the subject of a legal challenge which is still working it way through the courts. For more information about the evolving so-called “right to die” law see our article about the The End of Life Option Act. In case of an unexpected situation where you cannot make decisions for yourself, an advance health care directive helps ensure that your wishes are carried out and who should be the person who helps make the decisions for you. Contact your estate planning attorney if you have additional questions about advance health care directives.